ParticipAction released a 2015 Report Card on Physical Act ivity. While there is much work to be done in increasing physical activity among children Participaction undertook research to identify that there is great potential for change in simply getting our kids outside. 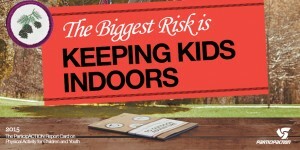 Supported by extensive research and a new Position Statement on Outdoor Play the key message is that ‘the biggest risk is keeping kids indoors’. 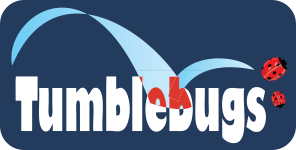 WANT MORE INFO OR TO SHARE WITH YOUR NETWORKS? Injury prevention practitioners in Canada are showing an increasing interest in the issue of risk taking as a positive contributor to resiliency and injury prevention among children. “I do feel more physically active now that I’m in Trailblazers because when my friends come over we usually sit inside and watch TV or play on our electronics. But now that I have cool Trailblazer games, we can go outside and I can teach them to my friends that aren’t in Trailblazers and we can have fun”. We need to recognize the difference between danger and risk. And we need to value long-term health and fun as much as we value safety. There are consequences to keeping kids indoors. 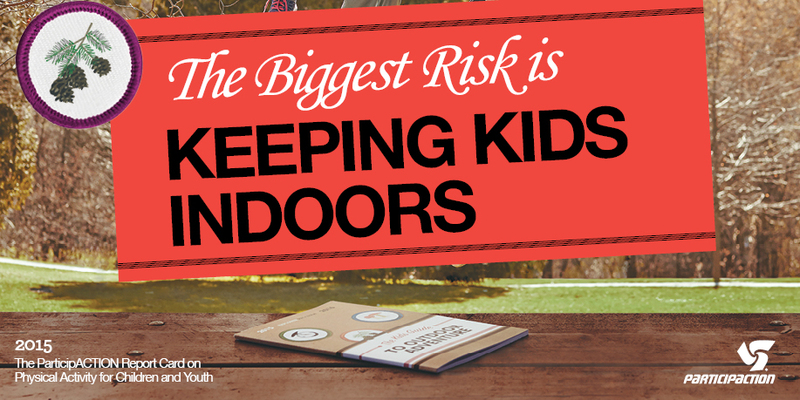 When children are closely supervised outside, they are less active. We may be so focused on trying to intervene in our children’s lifestyles to make sure they’re healthy, safe and happy, that we are having the opposite effect. We call this the protection paradox. We overprotect kids to keep them safe, but keeping them close and keeping them indoors may set them up to be less resilient and more likely to develop chronic diseases in the long run. Please see below for note about the need for respectful and inclusive conversations about diverse populations’ experiences related to risk of harm by others. » Kids with ready access to unsupervised outdoor play have better-developed motor skills, social behaviour, independence and conflict resolution skills. » Overall, only 9% of 5- to 17-year olds get the 60 minutes of heart-pumping activity they need each day. » When children are outside they move more, sit less and play longer—behaviours associated with improved cholesterol levels, blood pressure, body composition, bone density, cardiorespiratory and musculoskeletal fitness and aspects of mental, social and environmental health. » Hyper-parenting limits physical activity and can harm mental health. » Children are more curious about, and interested in, natural spaces than pre-fabricated play structures. 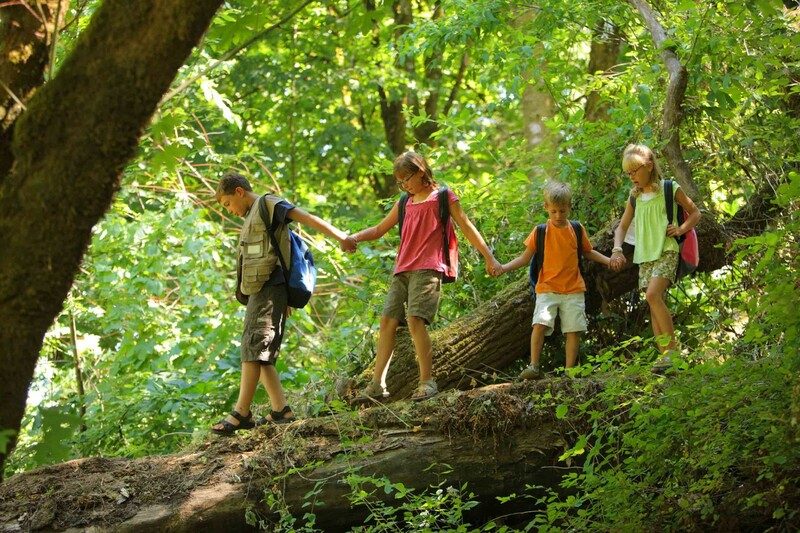 Children who engage in active outdoor play in natural environments demonstrate resilience, self-regulation and develop skills for dealing with stress later in life. » Outdoor play that occurs in minimally structured, free and accessible environments facilitates socialization with peers, the community and the environment, reduces feelings of isolation, builds inter-personal skills and facilitates healthy development. Outdoor play is safer than you think! o The odds of total stranger abduction are about 1 in 14 million based on RCMP reports.Being with friends outdoors may further reduce this number. o Broken bones and head injuries unfortunately do happen, but major trauma is uncommon. Most injuries associated with outdoor play are minor. o Canadian children are eight times more likely to die as a passenger in a motor vehicle than from being hit by a vehicle when outside on foot or on a bike. Important note: When working with and for Aboriginal and/or culturally diverse communities it is important to discuss and explore differing histories, experiences and realities of experiencing harm or violence by others. This can impact use of public spaces by children, women and families. It is important to have respectful and inclusive conversations about how risk is experienced differently and how approaches to physical activity and outdoor play can be best integrated or adapted or integrated.